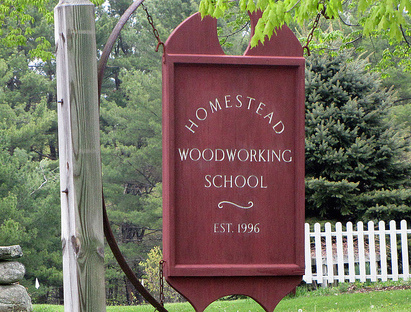 Homestead Woodworking School offers classes for beginner, intermediate and advanced woodworkers. Our instructors are all professional woodworkers, each with a different area of specialization. All of them are dedicated to sharing knowledge and helping others master the intricacies of woodworking. We're also a member of the Guild of New Hampshire Woodworkers. We have a large, well-equipped shop in a restored timber-framed barn, with lots of lodging, restaurants, and attractions nearby: Portsmouth, the seacoast, Hampton Beach - and the mountains are an hour away. Manchester Airport and Pease International Trade Port offer air travel access. Bring your own lumber to class, or purchase it here from our inventory (or from nearby Highland Hardwoods, a fully stocked lumber dealer). We provide consumable supplies like sandpaper, glue and screws. Copyright © 2016 Karen L Parks. All Rights Reserved.